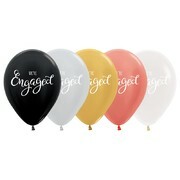 Looking for DIY helium options? Shindigs is the Hunter's largest one stop party warehouse, with 1,000’s of party supplies available ranging from balloons, catering supplies, decorations, fancy dress, wigs and hats to cake decorating supplies, birthday invitations, wedding supplies, baby shower decorations, party games and much, much more. 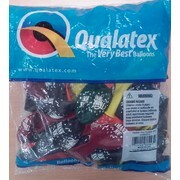 We specialise in party supplies! Located in Lambton, NSW, Shindigs was opened in 2003 by Mark and Kate Streeter. Mark and Kate, who are still the owners of the business, actively work in the business on a daily basis. There are currently 13 staff members working at Shindigs, each of them specialising in a different area of the warehouse, while also working hard to provide the highest level of customer service. In July 2012 Shindigs launched an online store so now you can find our great range online too! The Shindigs team is very excited to be able to offer our cheap products online throughout Australia and we are working hard to add new stock to our site regularly. We are always getting exciting new stock in-store and currently have around half of our stock online - so if you can't find what you are looking for, contact us and we may still be able to help! 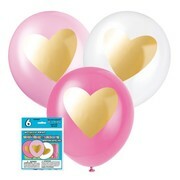 Shindigs has a great range of birthday supplies for all ages, including children's party supplies all the way up to the hard to find 100th birthdays! 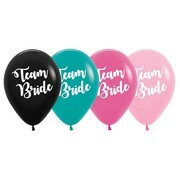 Shindigs has everything you need from party invitations to party decorations, games, birthday candles, disposable plates, disposable cups, tablecovers, pinatas, birthday balloons, novelties, giftwrap, bubbles – just about everything! So whether you are looking for aged birthday decorations, kids party supplies or you have a special theme in mind - we are sure to have what you are looking for! If you are going to a costume party and you are looking to buy fancy dress online, then look no further! Shindigs has a great range of party costumes, costume accessories, wigs, face paint, masquerade masks and fancy dress hats. We carry hard to find items like chefs’ hats, French berets, Mario and Luigi hats, plus a great range of costume accessories to add that extra oomph to your character! 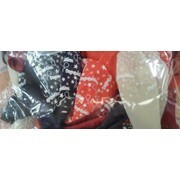 Shindigs also stocks a great range of kid’s costumes and is very popular for Book Week. View our range of supplies by theme to make your planning easy! 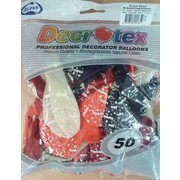 We've got an enormous range of ideas, supplies and decorations to make your job easy. Our range includes everything from Christmas costumes and decorations, through to Oktoberfest costumes, pirate themed costumes, Halloween decorations and costumes, Mexican party ideas and costumes and much, much more. 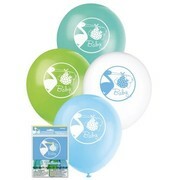 We have recently expanded our cake decorating supplies online and we are continuing to add to the range. Our range now includes products from Wilton, Martha Stewart Crafts, PME Arts & Crafts, Squires Kitchen and Autumn Carpenter. We are very excited to stock (and test!) our new ranges of cupcake accessories, edible cake decorations, flavours, icing colours, cake stencils, cupcake cases, cupcake wraps and picks - all of the cake decorating supplies you can think of! We are also excited to stock a range of chocolate making supplies including candy moulds, dessert moulds (now you can eat your dessert bowl too!) oil based flavours, fondant crème to make your own soft centred chocolates (yum! 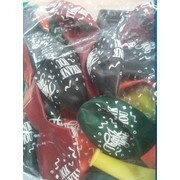 ), candy colours and foil for wrapping your new creations. This recent expansion has been a very exciting and delicious experience for us! So thank you for visiting www.shindigs.com.au, please check out our online store for all your party decoration and supplies needs. Don't forget to sign up to our newsletter for great promotions, upcoming events and special offers! You can also subscribe to our Facebook Page , we have lots of great party ideas and inspirations, as well as heaps of great photos - just click 'like' to be a part of the Shindigs fun! We are very excited to have recently joined Pinterest, and boy are there SO many great party ideas!!! To make it easy we have set up boards for heaps of different themes, decorating ideas and party food ideas and we are madly gathering the best ideas we come across - so follow us on Pinterest and be inspired for your next event, whatever the event, whatever the theme!